On the set of Charlie and the Cioccolato factory. On the set of Charlie and the Cioccolato factory. HD Wallpaper and background images in the Tim burton club tagged: tim burton johnny depp charlie and the chocolate factory. 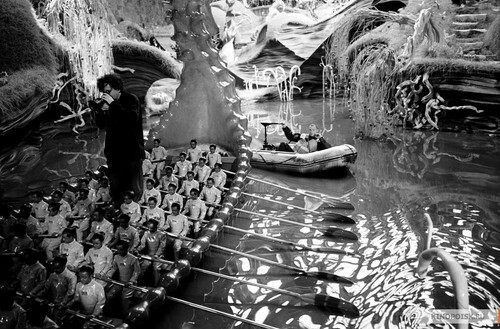 This Tim burton photo contains fontana. There might also be strada, città scena, ambiente urbano, scena della via, città, urbano impostazione, banana, albero di banane, and albero di banana.